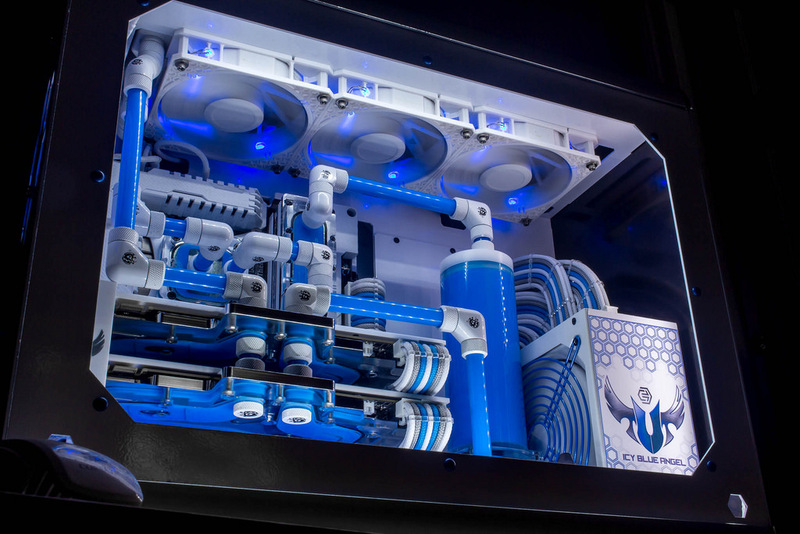 One of our regular members on the forums who I’m sure everybody has heard of in the modding community by now ‘Snef’ has been sent an early sample of the R40 from Hex Gear and deemed the task of building a system worthy of such a beautiful case. 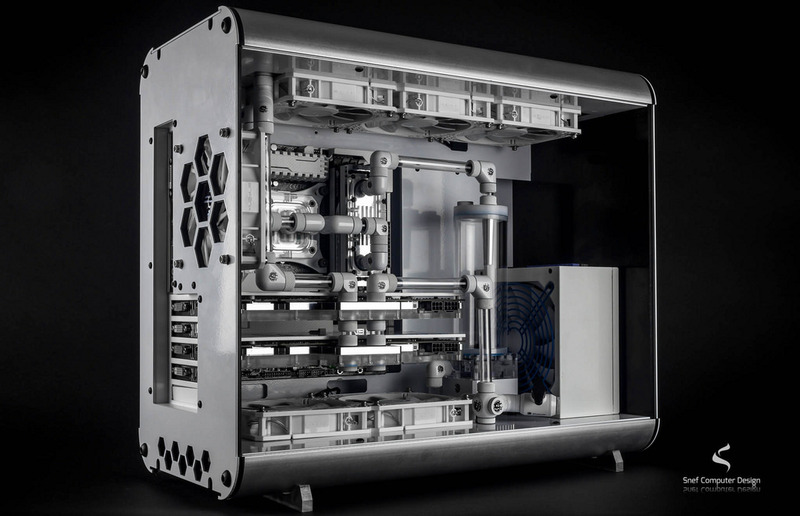 Hex Gear’s upcoming R40 Micro-ATX chassis oozes class and perfection, with its perfectly curved edges the R40 is constructed of four extruded aluminium profiles, giving it a very sturdy and clean finish this thing really does look the part. 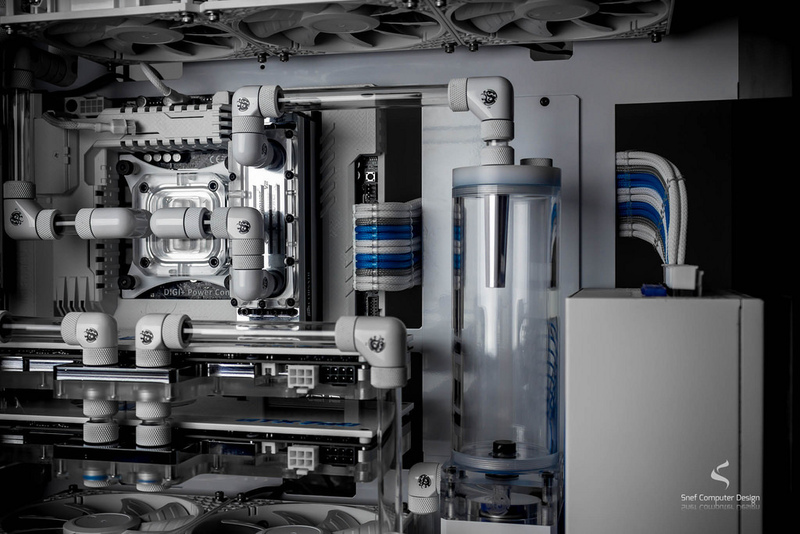 The R40 comes in a couple of different colour combinations as stock to choose from, black with white inserts on the front of the chassis with subtle areas of the chrome nature or white with black inserts. 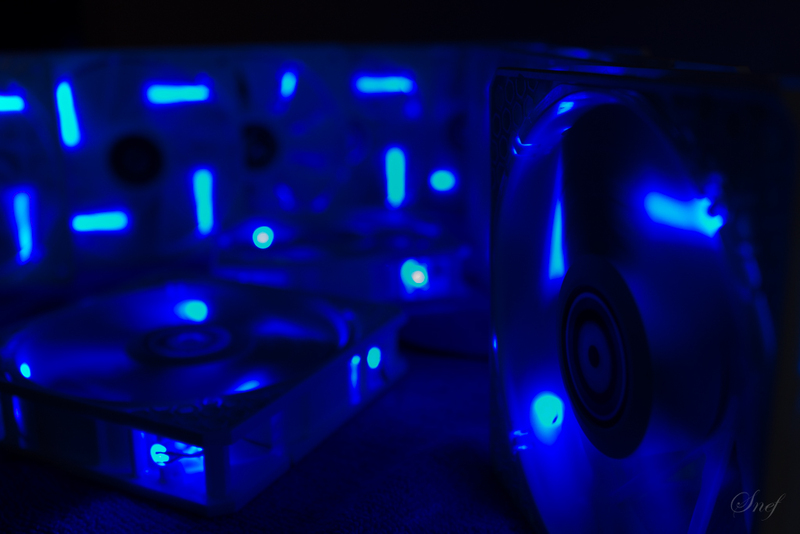 The inserts are fully customisable so you could go for a green finish if you are building an Nvidia system, or red for an AMD build for example. The R40 is built with less is more in mind according to Hex Gear, meaning your only paying for what you need and this certainly comes across looking at the images below. With the monstrous amount of products going into the build out of the way, its time to move on and show you just what Snef has created. 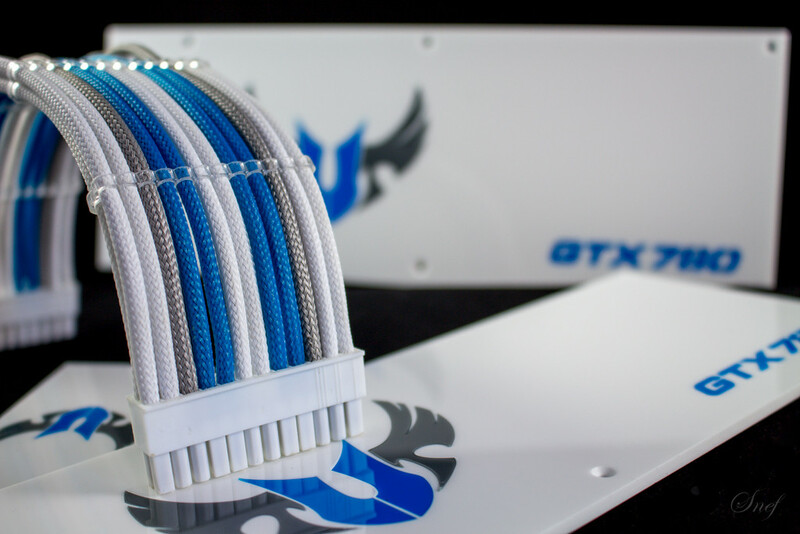 Snef knows which buttons to press in order to get us excited, as you can see from one of his first images he shared his cables look so good, and that GPU backplate, well…we wanted more and we got more! 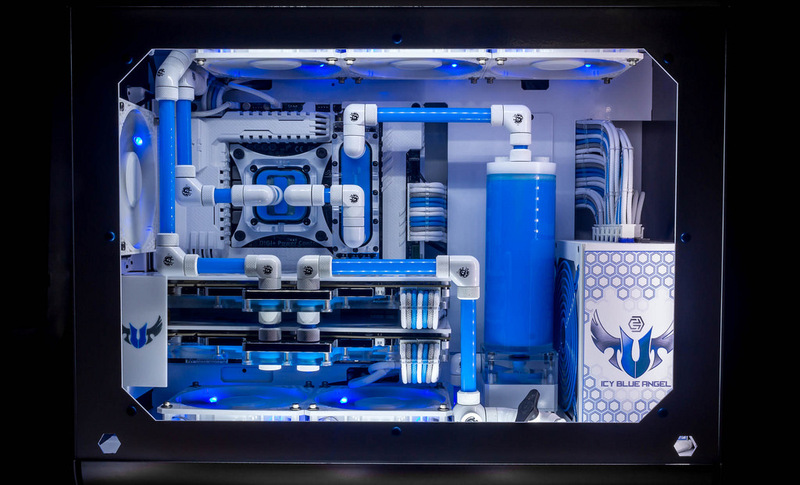 Snef next took his expertise to the Silverstone PSU, firstly giving it a glossy white finish which looks so fresh and clean, and then adding his own decals and painted the fan grill blue to match the cables and backplates. 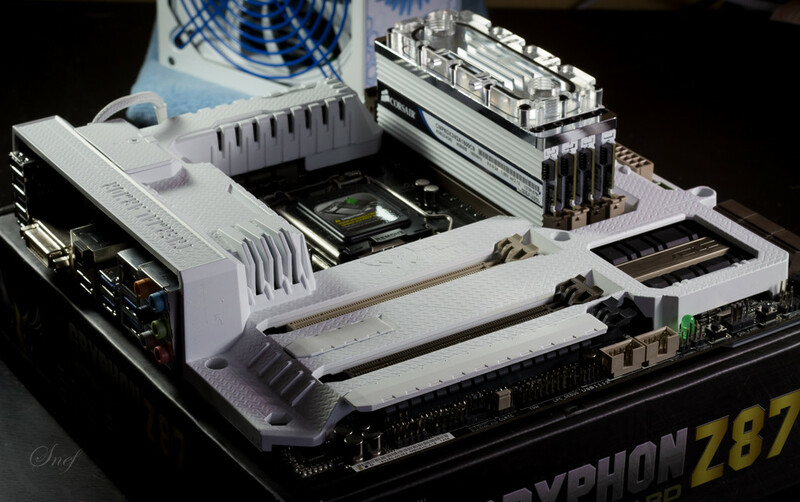 Moving on, the motherboard got a touch up and came out looking great, the armour got a lick of paint to match the white build and the RAM got a block and some white vinyl. 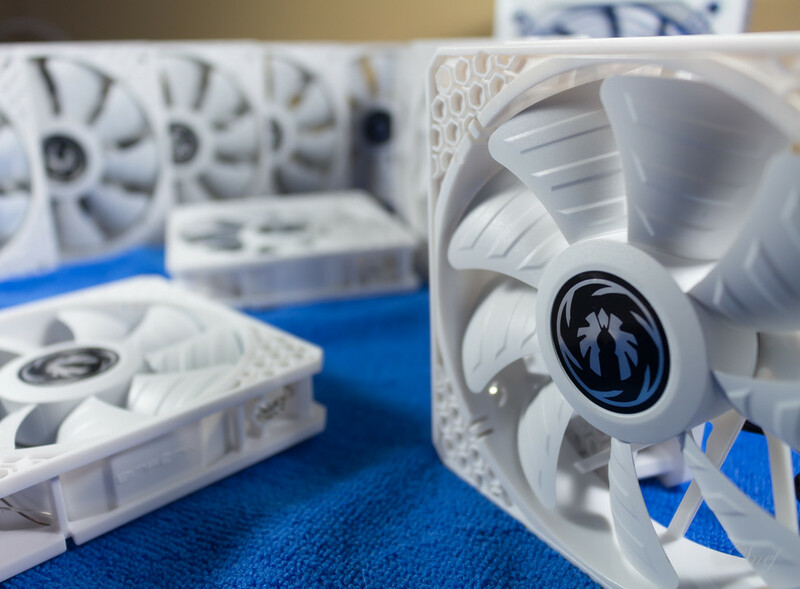 Snef’s fans then arrived in a fresh white look with blue LED’s, Snef sure knows how to match components up. 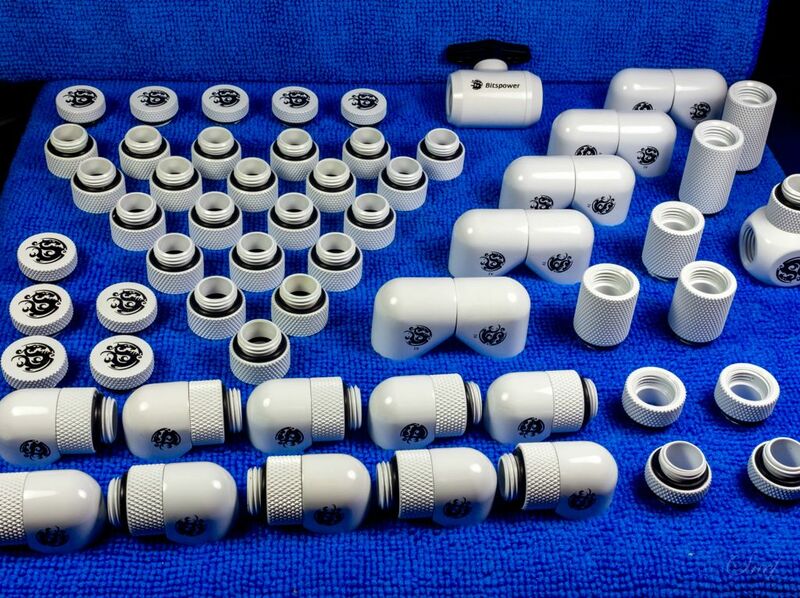 Snef’s fittings arrived, something so simple but look so pretty..
Now rather than continue to drip feed you with the small updates, detailing how great the components look up close we’re going to start showing you the build coming along. Nicely might I add too. 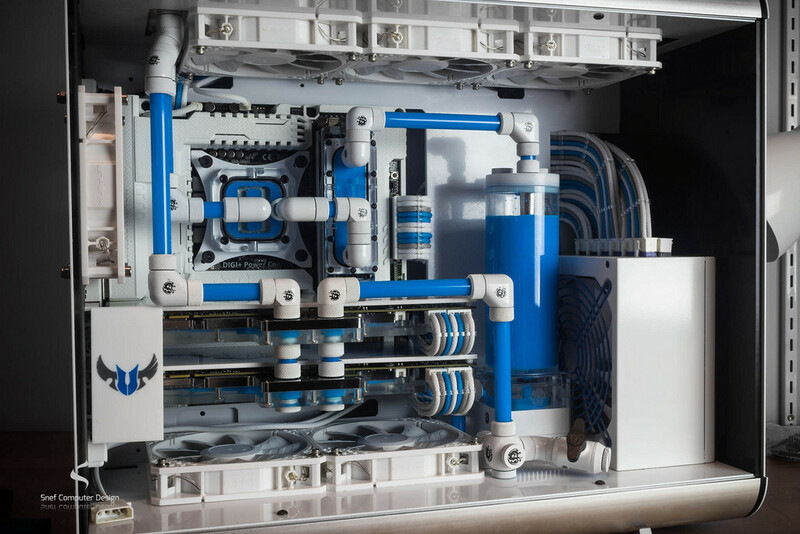 Look how amazing this looks during a leak test, the blue against the white is simply stunning and so inspiring to other modders. Here is the build with the side panel fitted. 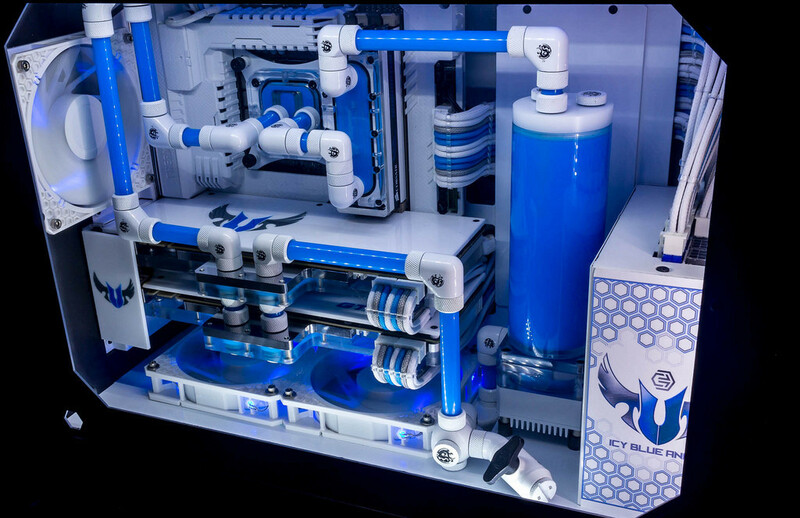 Here we have it people, one of the best looking builds I have ever seen, I’m sure you will all agree. Snef has taken an already classy case and turned this into an absolute enthusiasts dream. 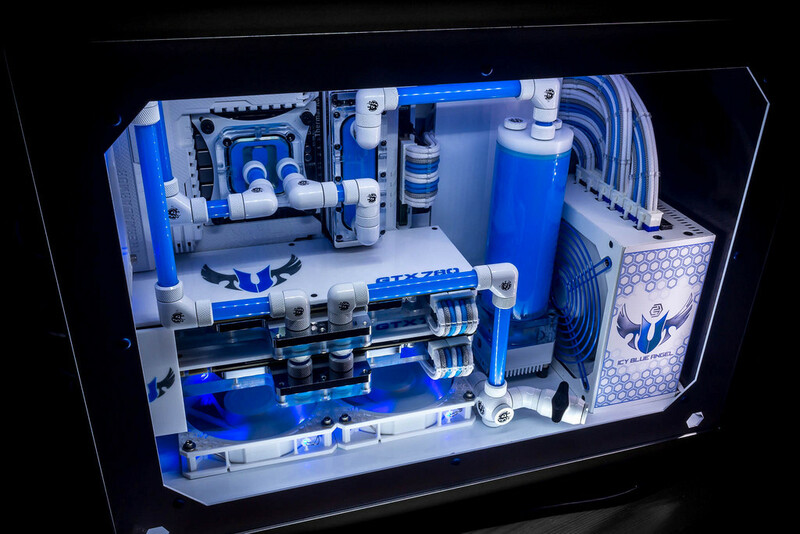 It has such a fresh and tidy look to it and the colour of blue just gives it that extra pop. 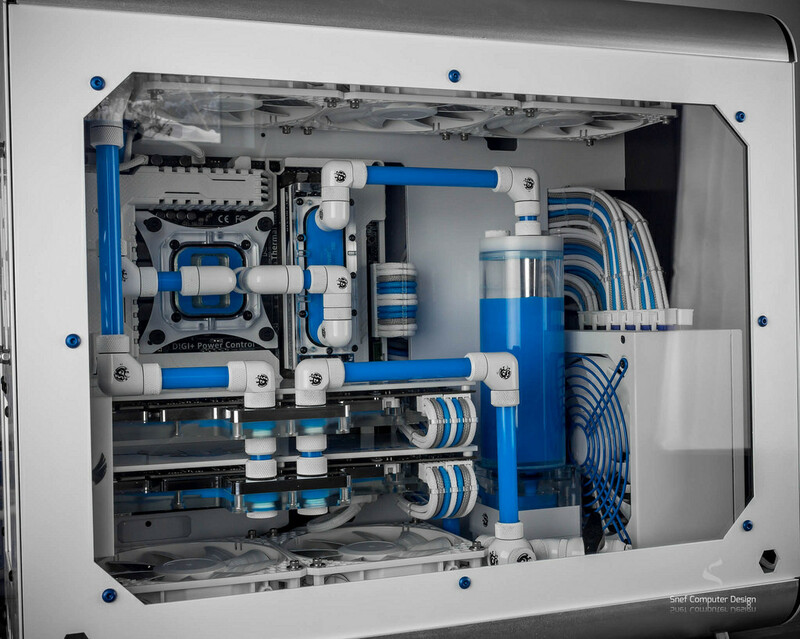 Thank you for sharing this build with us Snef, and we hope to see many more builds from you in the future. 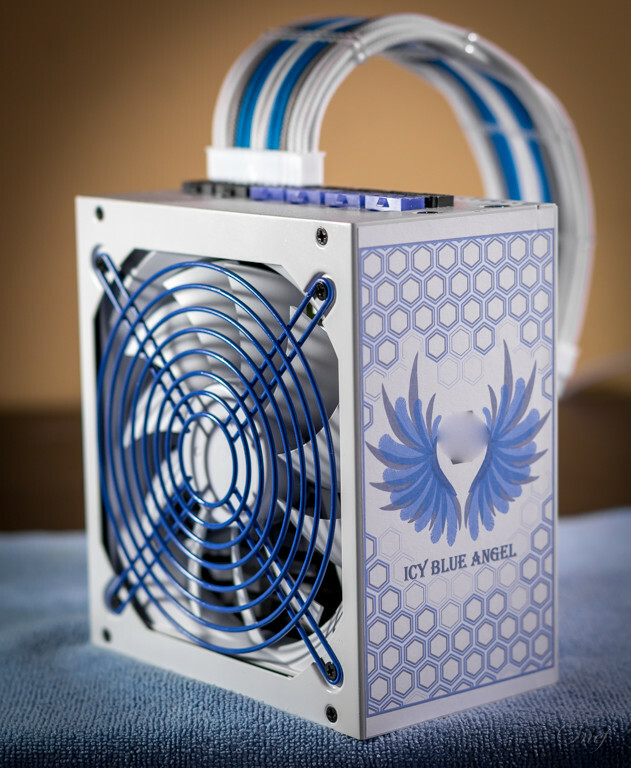 Join the discussion on Snef's Icy Blue Angel II on the OC3D Forums. Congrats to Shaun on his first front page OC3D article. well done dude. I really like these build summary's they make a fantastic read, the density of nerd pr0n is phenomenal even after following the log. I think they could be next level with a little input from the builder/modder. What they like the most about it, what they think is most successful, what was the hardest problem to overcome, how long did it take etc, just like a mini interview Q&A. Anyway really strong piece of content for the site, well done Shaun and Snef ofc!